The white stork is the "Happy Bird" of this chair. In the west, the white stork is considered to be a bird that will bring happiness. This is best known through the legend of the stork delivering babies. 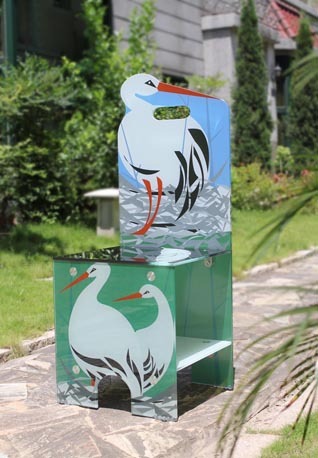 Our designers used the white stork for this chair, not only for its symbolic meaning of happiness, but also to highlight the chair's charming composition and features.